What first comes to mind when you think on horses in computer/console games? The badly rendered and weirdly animated horses that every fantasy game has the characters ride. That the people who did the animation have no idea how a horse actually moves ... their motion is usually all wrong and every freaking one of the horses I've ever seen in a computer game crossfire. So annoying. 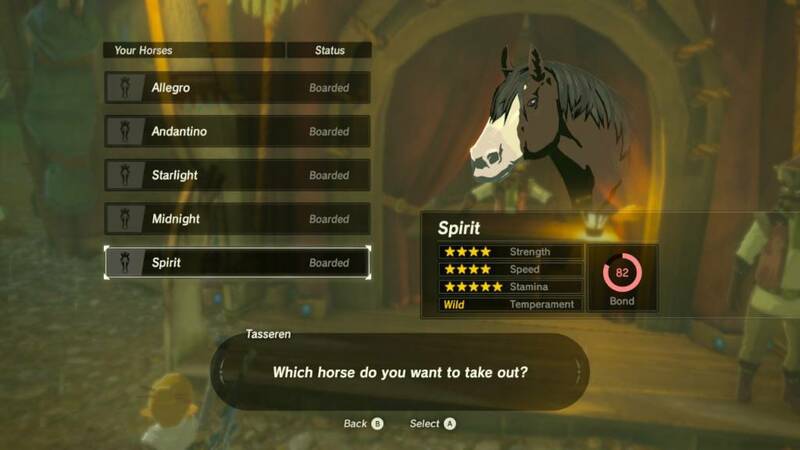 The horses you ride in the first Assassin's Creed, or good ol' Epona. The sensitivity of the internet baffles me. These gravity-defying chunky monkeys in Skyrim. Dwarf, Phantomrose and JoBlueQuarter like this. The animation in Breath of the Wild actually is pretty good. They even use their body different ways depending on how you move them. jgnmoose, BlindHorseEnthusiast4582, Kaifyre and 1 others like this. ^Yup. The same way the titular characters can sprint for hours at a time and not tire. People aren't exempt from game physics and absurdities, lawl. First thing that comes to mind for me, is their totally wrong and weird way of moving, and of course, their ability to walk up vertical hills, and walk through stuff like trees and boulders.